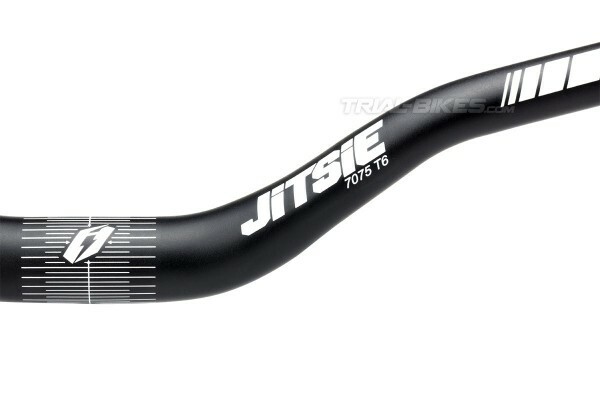 - New handlebar from the prestigious belgium manufacturer Jitsie. Specially designed for use on trials bikes. 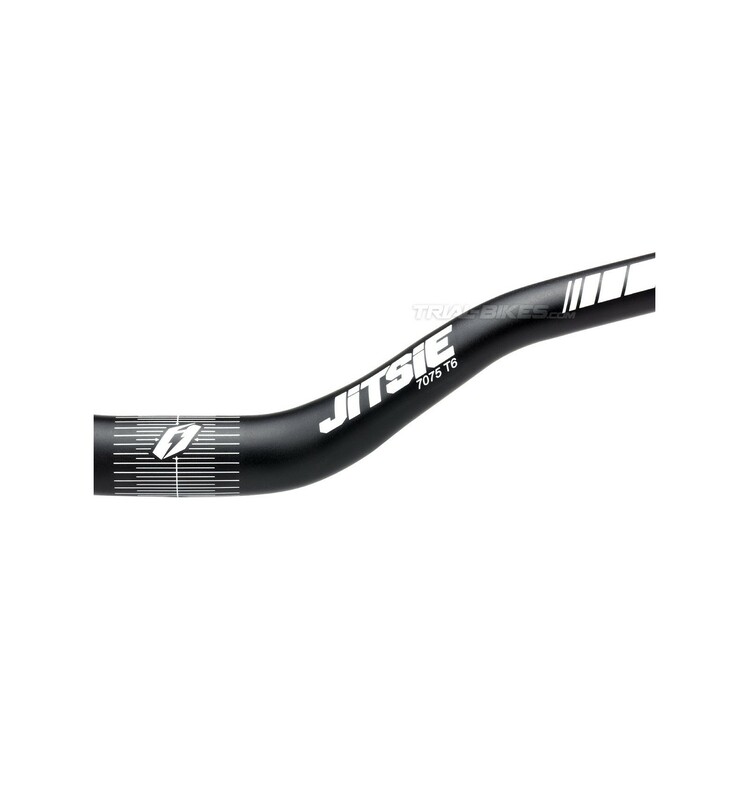 - Developed and tested during last months for the Multi-World Champion Dani Comas and the rest of Jitsie team mates. 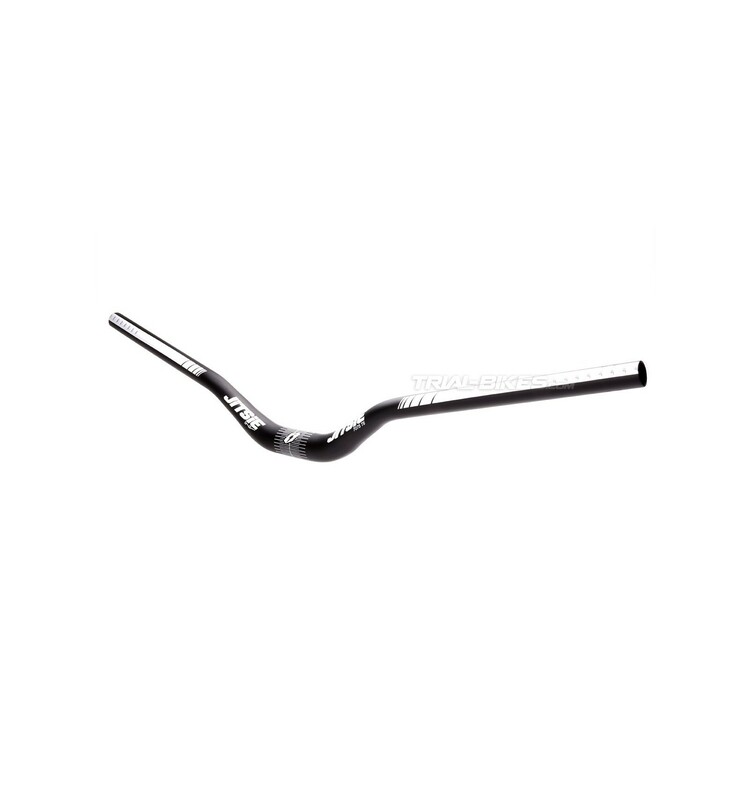 - Manufactured from Al 7075-T6 including multi-taper wall thicknesses in order to get the lightest final weight (Just 266.9 g. !!). - Excellent stiffness and strength combination. 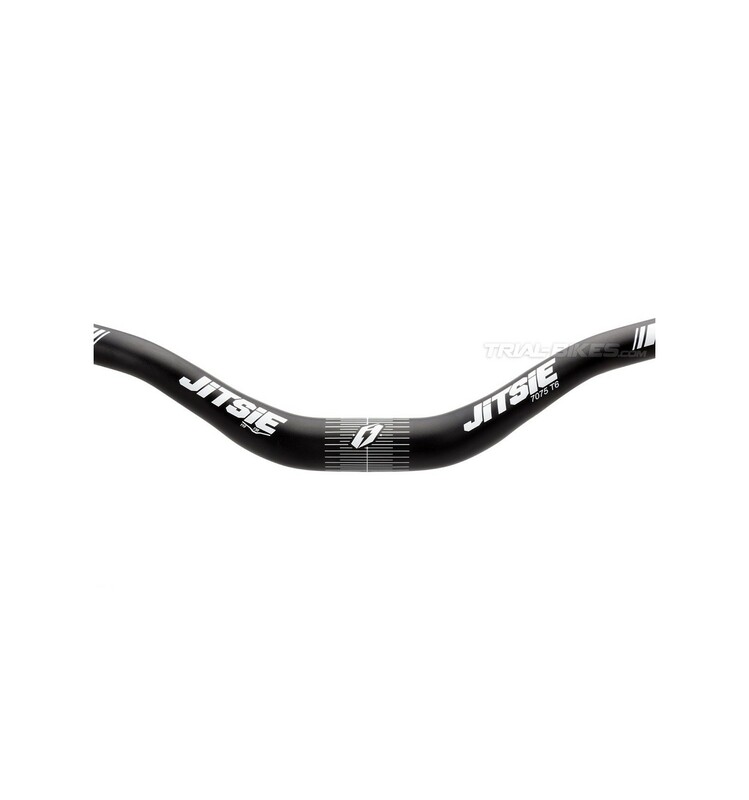 - 730 mm width to ensure the best stability on your bike. - 110 mm. maximum rise. 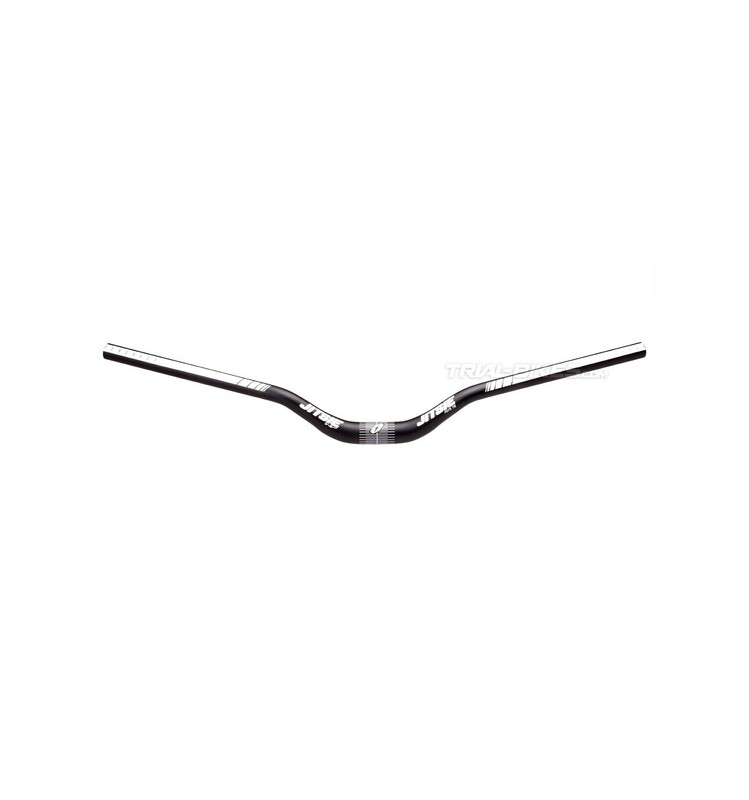 - Bar ends labeled from 590 to 730 mm to facilitate width adjusting for even the youngest riders. 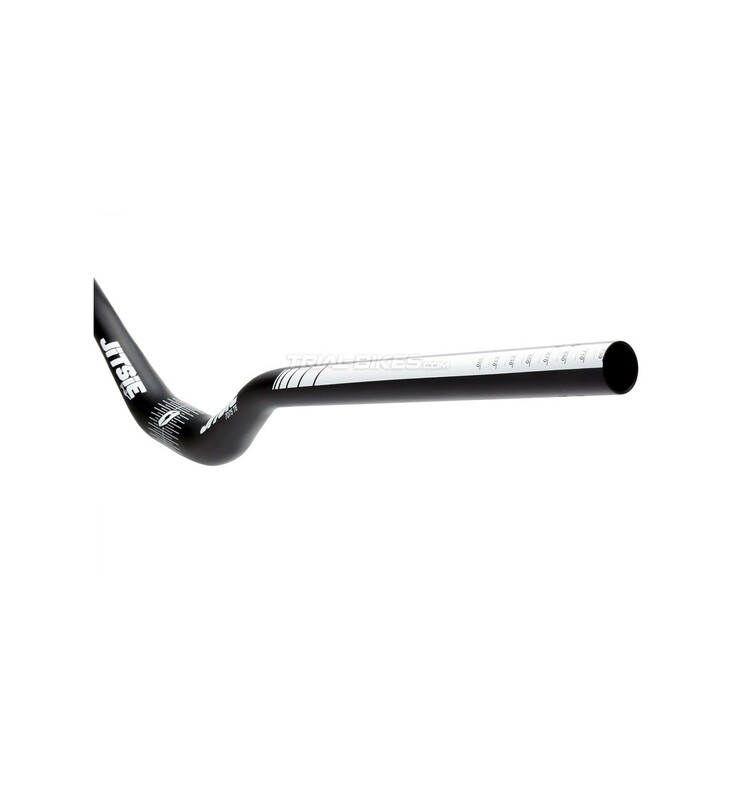 - Available in anodised matte black finish, featuring high resolution white Jitsie graphics.